CP/CENT/INT. 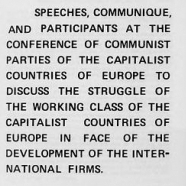 Records relating to the CPGB's international functions are of particular interest given the unique significance such associations had for a communist party. Even after the Comintern's dissolution, there was no doubting either the significance of communism as an international movement, the critical position that Britain held in its conception of world affairs or the interrelationship between them. Apart from the brief interlude of the Anglo-Soviet wartime alliance, Britain was more or less consistently depicted as a bulwark of world reaction, hostile to socialism, partial to fascism, beholden to American imperialism and an oppressor of its own colonies. 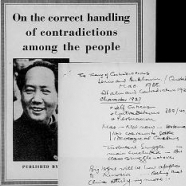 The CPGB thus had a responsibility to link up with anti-colonial struggles, a responsibility which critics alleged involved the party itself striking imperial postures in its relationships with communists in the colonies. Evidence both for this and for a more generous reading of colonial solidarity can be found in the archives. Pre-eminent in the earlier period was the party's interest in India, exemplified by R. Palme Dutt's position both as an authority on the sub-continent's affairs and as a contact with leading Indian nationalists. Of Dutt's correspondence with Jawaharlal Nehru, nothing survives in the archive. Likewise there is little relating to the League Against Imperialism, an international front organisation based in London from 1933. The archive does, however, contain two priceless individual deposits, namely those of Ben Bradley and Glyn Evans. Even after its independence, with Nehru now premier, India remained a central concern. Key sections of the Indian communist party resisted moderating their opposition to Nehru to conform to Moscow's anti-American priorities. The CPGB, it appears, was called upon to try to straighten them out. These efforts are well documented, but again in personal deposits: both in Dutt's files on his interventions of 1950-1 and Pollitt's papers from his Indian tour of 1953-4. 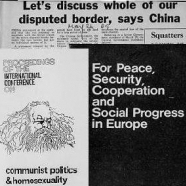 In the same period, the party's wider coordinating role was most visibly demonstrated by the conferences of Empire communist parties that it organized in London in 1947 and 1954. 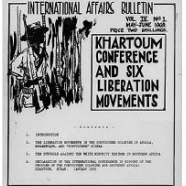 The International Department's records include numerous files on such international gatherings as well as an impressive documentation of the party's relations with individual fraternal parties. Among the department's other functions was the development of promising contacts in Britain, particularly among colonial students. These provided a valuable source of possible cadres in countries previously lacking strong indigenous communist movements. Again, however, tensions could arise from a perception of the British party's 'colonialist' attitudes, and these are well attested in the files on West African students. One area in which the British party could not be accused of colonialist arrogance was in its relations with the socialist bloc countries. 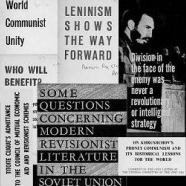 Nor, however, was the CPGB's position wholly an obeisant one, particularly as the fragmentation of world Communism permitted a degree of autonomy to its smaller sections. 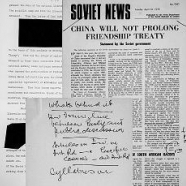 At the time of the Sino-Soviet split of the 1960s, for example, British communist leaders had discussions with both the Soviet and Chinese parties, and a fairly full documentation survives. 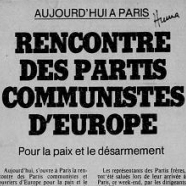 There are also materials relating to the later phenomenon of Eurocommunism. 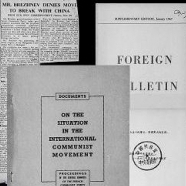 Arranged here arbitrarily by box as, apart from the International affairs bulletin, all the documents are in one series: International communist movement materials. Description drawn from Kevin Morgan's introduction. CP/CENT/INT/4. 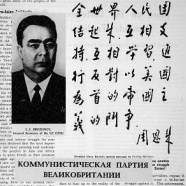 Further files on the Sino-Soviet dispute; other materials on various international Communist conferences, including the World Communist Conference of 1969. CP/CENT/INT/5. 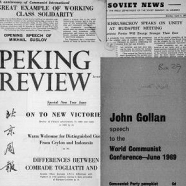 Reports and other materials on the World Communist Conference of 1969, and on the conferences of Communist and workers' parties in capitalist Europe, 1965-1971. CP/CENT/INT/8. Reports and papers from five international conferences. CP/CENT/INT/8 (cont.). 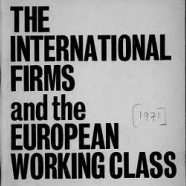 This journal was published 5-6 times annually by the International Department of the CPGB between 1966-1972.